This guide is designed to support the research of the students in Professor Lisa Bellan-Boyer's Religions of the West class. This guide provides a list of major library resources for the study of the course "Religions of the West" at Hudson County Community College. 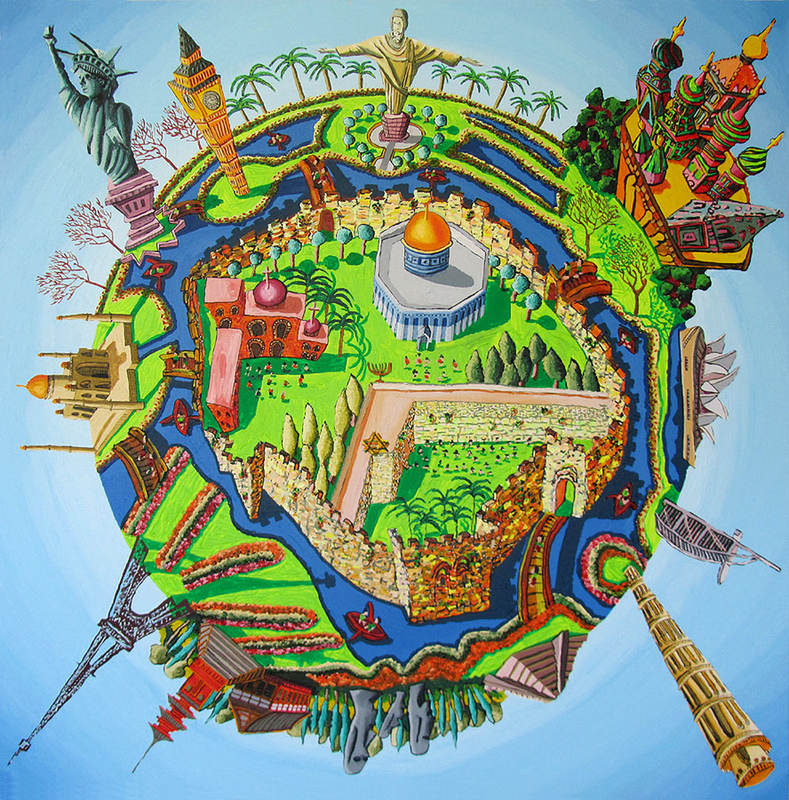 Naive drawing in the style of of an ancient map of Jerusalem. [Image Credit]. This course will offer an opportunity to explore the three great Abrahamic faiths: Judaism, Christianity, and Islam, as well as the spiritual traditions of Native American “First People” in the Western Hemisphere. This will introduce the historical concept of the “People of the Book” and also expand the definition of a “Religion of the West.” The course will look at scripture, literature, and sacred arts, folklore, holiday and ritual traditions, social and political history, and contemporary challenges to religious communities. The diversity of sects and denominations within each religion will be highlighted throughout the course. Students will have the opportunity to visit faith communities and cultural sites, and directly experience a variety of faith traditions through diverse research methods.